The Volunteering Impact Assessment Toolkit was developed in response to a changing climate in relation to volunteering where there is much more emphasis on accountability, management of outcomes and demonstration of impact. The toolkit has been designed as a self-assessment exercise for Volunteer Involving Organisations (VIO) to gain a clearer understanding of the impact of volunteering activity on the four main stakeholder groups involved: the volunteers; the host organisation; the service users and the wider community. It comes in the form of a manual and accompanying CD-Rom that provides the framework and tools (including ready-made questionnaires) to explore a range of service outputs and potential impacts of their activities, for example, on the skills, knowledge and confidence of staff, volunteers and users, and the communities in which they live and work. The manual states that repeating the assessment at future points enables change or progress to be monitored. The Volunteering Impact Assessment Toolkit is based on a framework that takes the simple approach of identifying which stakeholders are affected by volunteering and how. It therefore focuses on four groups: the volunteers themselves; the organisation for whom they work; the users or beneficiaries of that organisation; and the wider community. The benefits to these groups are described in terms of physical, human, economic, social and cultural capital. Here the term ‘capital’ is used as a way of describing impact in terms of ‘stock’ that volunteering activity might create or build, as well as acknowledging that volunteering relies on these being present to draw on. This reflects the fact that volunteering is a transaction where participants both give and benefit from giving. The manual clearly presents these concepts in both a narrative and tabular format. The Volunteering Impact Assessment Toolkit itself consists of a set of ready-made core questionnaires and supplementary questionnaires designed for use with people from each of the four stakeholder groups. Each core questionnaire has a small number of questions for each topic or ‘capital’ area. The supplementary questions are designed to be used where there is the need and potential for a more in-depth engagement with respondents on each topic. A traffic light scoring system is used throughout each questionnaire to help the user assess for each indicator the extent to which the organisation is doing well, and which areas need further investigation. In addition to the questionnaires, there is comprehensive guidance on how to employ a number of other data collection tools, such as focus groups, audit forms or diaries, as well as a detailed review of what a research process entails, including notes on sampling, adapting and developing questions alongside the different ways of administering a survey and analysing the findings. The Volunteering Impact Assessment Toolkit contains a variety of instruments which can be used off the shelf or adapted to a particular organisation’s needs. The narrative acknowledges that depending on an organisation’s aims or field of work, some indicators may not be relevant and can be omitted, and there is opportunity for others to be added as appropriate. The Volunteering Impact Assessment Toolkit provides a tested framework for impact assessment so organisations don’t have to start from scratch. The results from impact assessments help organisations in the development and improvement of their volunteering programmes – highlighting what is working well and what needs to be developed. Other internal benefits include a greater understanding of how important volunteering is for an organisation, an opportunity to feedback to volunteers themselves how much they are valued, whilst providing evidence to senior management to generate more backing and funding for volunteering. External benefits include a comprehensive method for gaining feedback from users that can be used to enhance service delivery, accountability to the wider community as well as existing and potential funders on what volunteers are achieving, as well as promotion of the social and personal potential benefits of volunteering in order to attract more volunteers. Some organisations may not feel it is appropriate or feasible to approach users for feedback using a written survey, perhaps because of language, literacy or learning difficulties. They would have to rely on other forms of data collection to provide a complete picture of impact. Because the Volunteering Impact Assessment Toolkithas been designed for use by any organisation, it is possible that some organisations may feel that it does not adequately consider the scale or importance of the particular types of services they offer. For organisations that feel stretched in terms of time and resources, the 130-page manual may appear to them daunting and unmanageable. However, much of the material is made up of the various data collection templates from which organisations can pick and choose. Who can use the Volunteering Impact Assessment Toolkit? It can be used by any sized organisation that involves volunteers as part of its workforce for delivering its objectives. Although it would help for the user to have a little knowledge or previous experience of impact measurement, this may not be necessary for small to medium-sized organisations as the manual sets out the basic steps and rationale behind them clearly and simply. As with many tools that involve consulting with multiple stakeholders, buy–in from senior management would help in the support of the process. There needs to be an individual responsible within the organisation for overall management of the process of data collection, analysis and to determine action. For larger organisations, experience of carrying out rigorous sampling and data collection would be an advantage, but for administering the Volunteering Impact Assessment Toolkit within a small or medium-sized organisation, the manual provides sufficient guidance. This is dependent on the number of stakeholders involved in the data collection process. In addition to the individual responsible for managing the impact assessment, an organisation’s volunteers and staff will need to contribute time to completing the questionnaires and taking part in the focus group discussions. The Institute for Volunteering Research (IVR) occasionally run regional workshops to help support organisations in using the Volunteering Impact Assessment Toolkit. In addition, click here for details of how to find out about bespoke consultancy sessions. 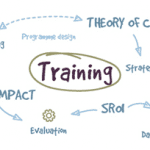 For organisations based in Scotland, contact Volunteer Development Scotland (VDS) who sell the Volunteering Impact Assessment Toolkit in the region, and provide training. The VDS website has links to reports from projects that have used the toolkit. See www.vds.org.uk for more details. The Volunteering Impact Assessment Toolkit was developed by IVR with support from Volunteering England, the University of East London and the Centre for Social Development. The manual (containing everything necessary for administering the toolkit, including a CD-Rom) can be obtained from Volunteering England for around £35 plus postage. See www.volunteering.org.uk for more details.